Hello beautiful friends!! Welcome to Trash-to-Treasure Tuesday! Ya’ll know this is one of my favorite days of the month because not only do I have a trashy makeover for you, so do four of my crafty friends! 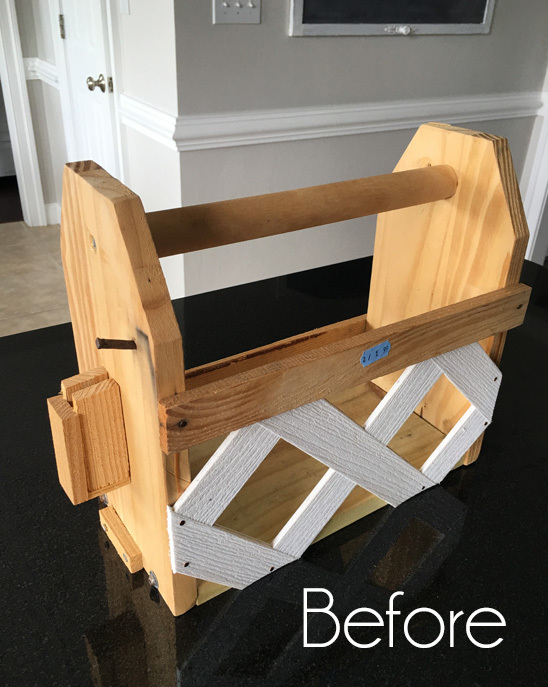 Plus, who doesn’t love a good before and after? Be sure to look for links to my friends’ projects at the bottom! I can’t wait to see them myself. If you missed last month’s T2T project, you can visit that HERE. This was clearly a DIY job which I can totally appreciate, and honestly that is why I just had to bring it home and save it from itself! 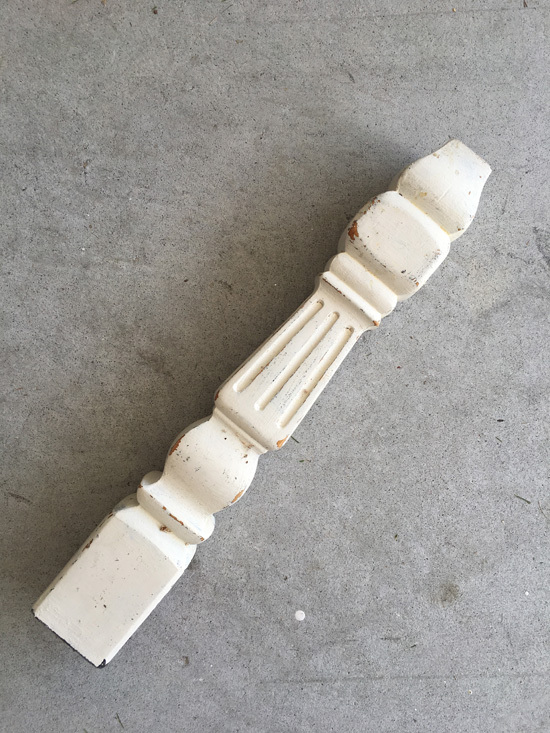 Except once I got it apart, I decided maybe it would be fun to swap that dowel handle out for something a little more fun…like this old coffee table leg maybe? Is that still considered a makeover? Maybe technically this was more of a rebuild than a makeover? I think it turned out sweet though! This is the perfect base for white-washing, which ya’ll know I do a lot of around here. 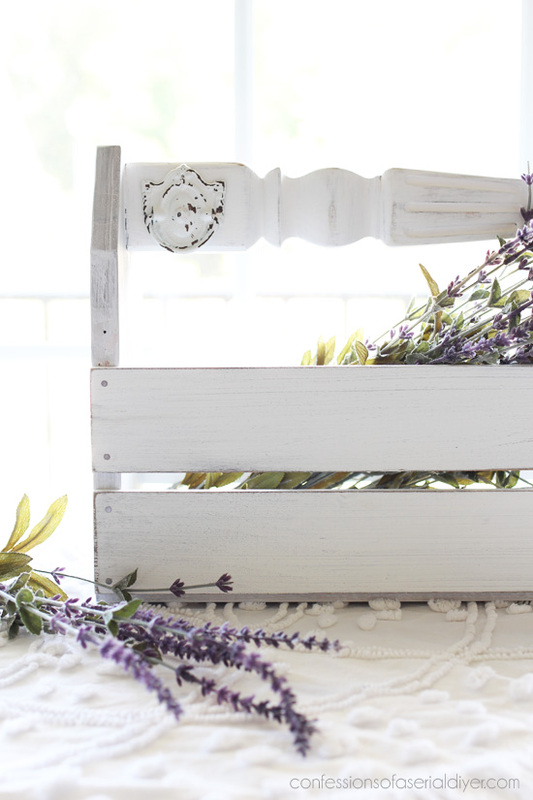 It gives pieces a coastal vibe which sell well for me in this coastal town. 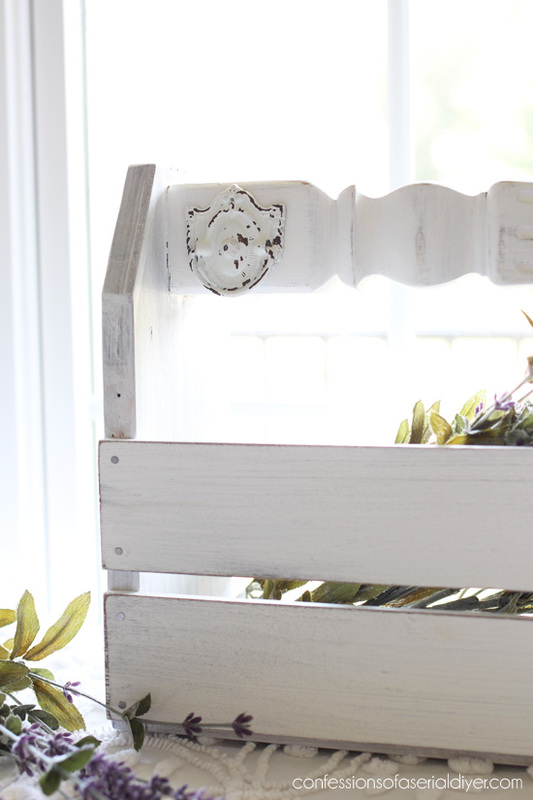 You can see exactly how I white-wash with this product and watered down paint in this post HERE. 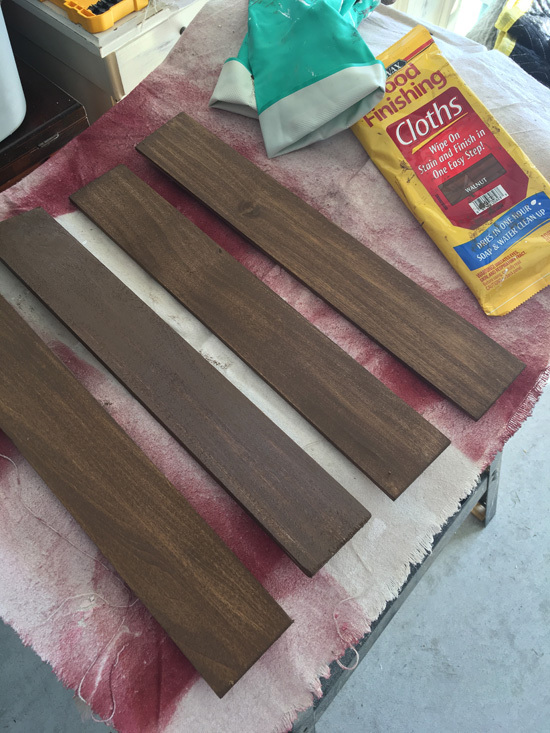 These cloths are perfect for staining bare wood prior to painting. 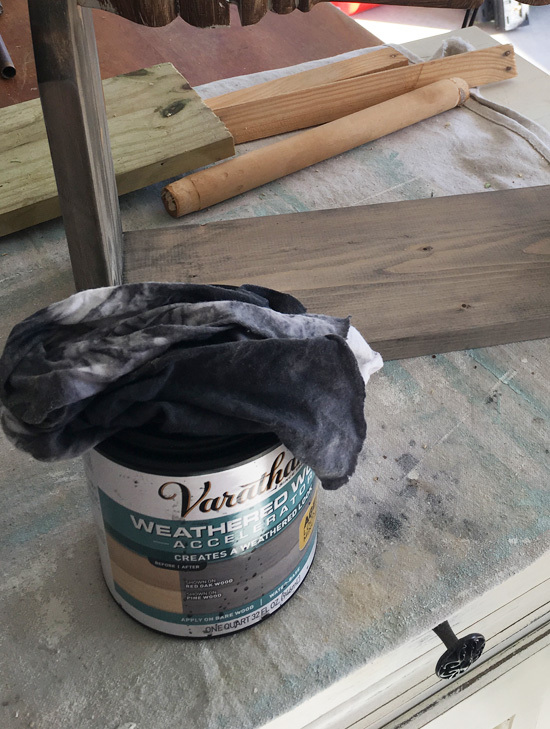 That way when you sand, this rich brown comes through instead of the lighter raw wood color, and this stain dries super fast. 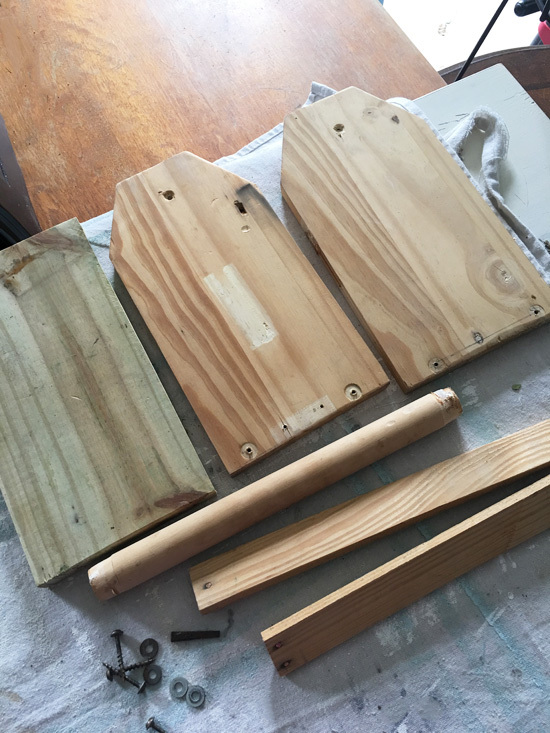 I attached the slats with wood glue and small finishing nails. I use a spray matte sealer to seal everything. 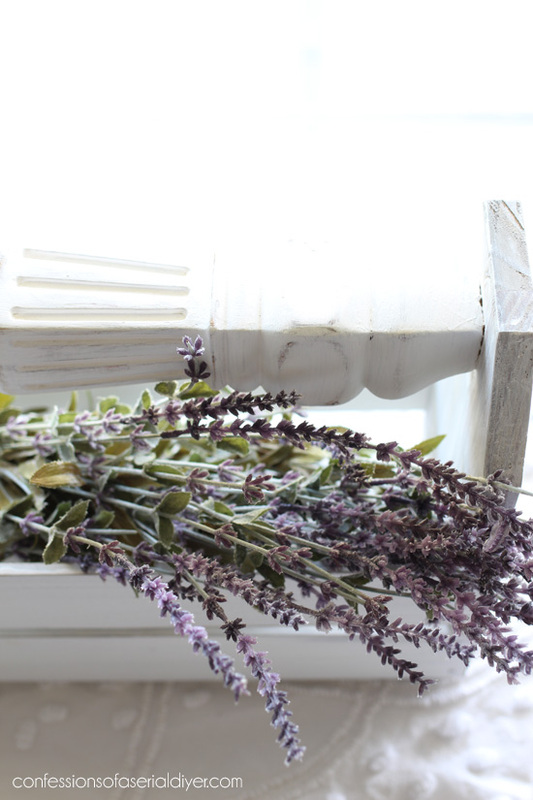 I painted the handle more solid white also using my DIY chalk paint in Behr’s Bit of Sugar. (Recipe with video HERE.) I kind of love how big and chunky it is! 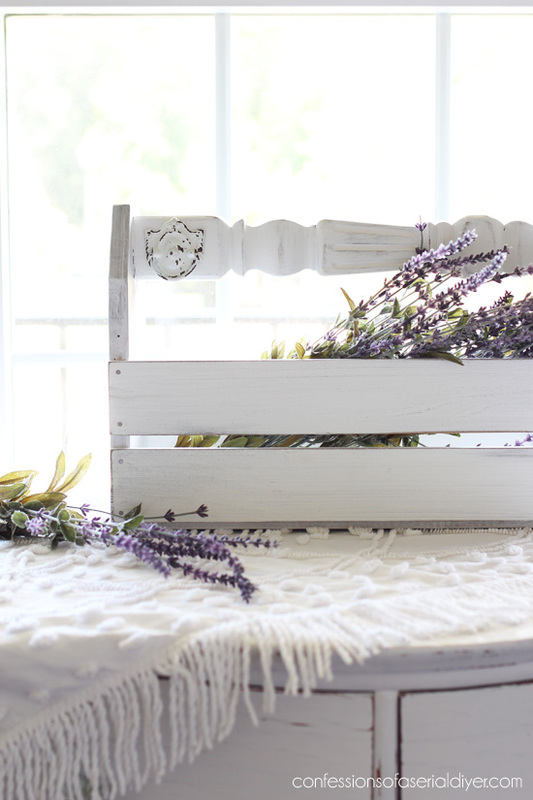 This would be cute in a bathroom to hold extra TP or toiletries. Mmmhmm yup I took the mirror off my dresser I shared last week and I am kind of loving having it for staging. I don’t have a need for a dresser with a mirror for sure, but I may be able to use it without the mirror as a side table somewhere. I am trying really hard to find a home for it in our house! I hope you enjoyed seeing this cutie come to life. If anyone has a need for a piece of plastic lattice in the shape of a figure eight, I’ve got ya covered. 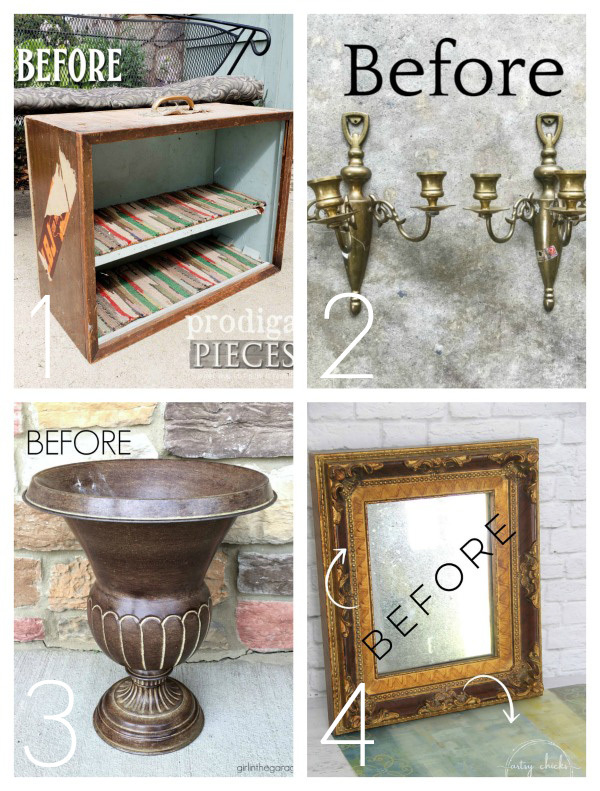 Looking for even more Trash-to Treasure inspiration? 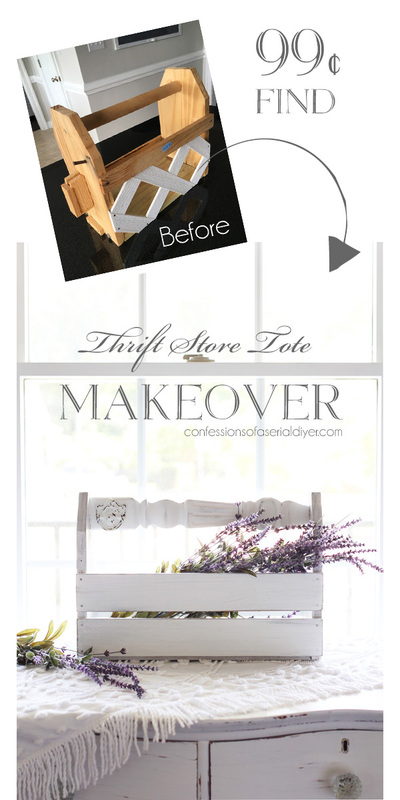 Visit all of my past T2T makeovers HERE! I’ll be back on Thursday to talk about our next big DIY project, and I’m hoping to get some input! UPDATE: Check out what we have on the agenda as our next big project HERE! Wow, the things you find at the thrift store are amazing, but then so is your imagination! Love how that turned out, so cute. You saved it from the junk pile, good job! I love how you think outside the tote, Christy. Super cute and so much more style now. Love it! Christy, this adorable! I assume there are two “slats” on the other side as well. 🙂 The before photo was “what in the world?” and the after is “mmmm good”. What an improvement! You made this into a piece that someone will love and buy in a heartbeat when they see it in your shop. 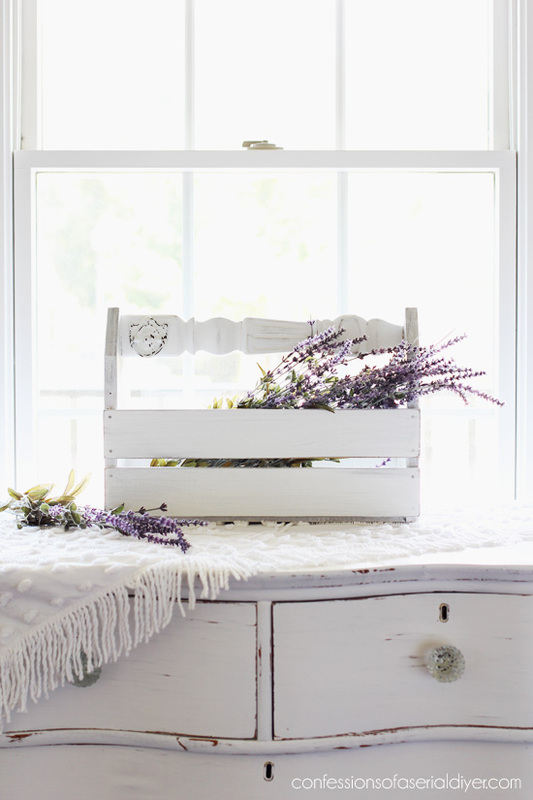 I love this up-cycled little tray. Such a fab idea! Thanks for sharing! I can’t believe you picked that up in the first place! Oh, wait! Yes I can. Your imagination is beyond wonderful. GORGEOUS!! I had no idea what you would do with that pitiful consolidation of pieces. Truly, I think the shop should have paid YOU to take it 😁 Of course, you turned a very trashy monstrosity into a marvelous treasure. Well done, Christy. 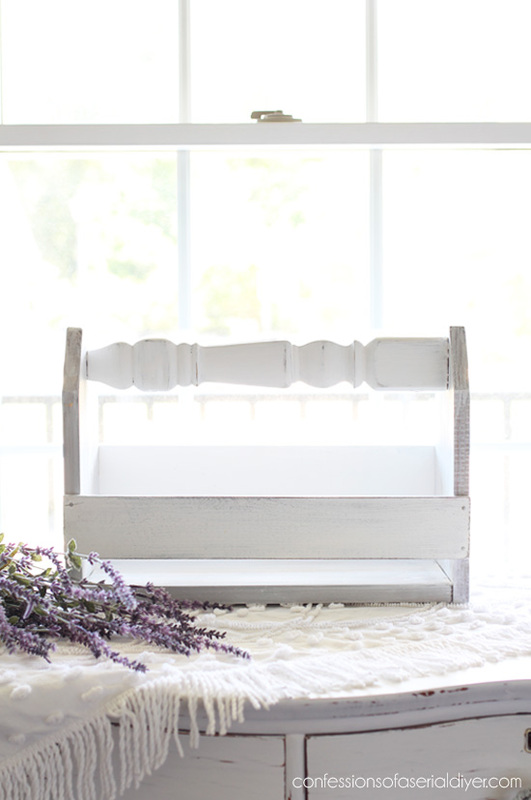 Sell the dresser! Someone, right now, is wishing they had one just like it. There’s another one out there, without a mirror, that you can use for staging. So cute! If I saw that in a store, I’d buy it. Holy cow! How on earth you got that beautiful piece from the scraps that were thrown together, I will never know. Great job!! Keep up the good work….saving the landfills!!! haha, I’m so glad you saved that tote from itself! That lattice…well, I’m glad it went but I was kind of looking forward to seeing how you redeemed that. 😀 Love the chunky handle! It looks way better now. Another beautiful re-do. You are so creative and I always love your design…you definitely have a signature style. This turned out super cute, Christy! I especially love how you used the table leg as a handle. I’m sure it will sell fast! So cute in the end, and so hilarious that you ended up only using the ends! 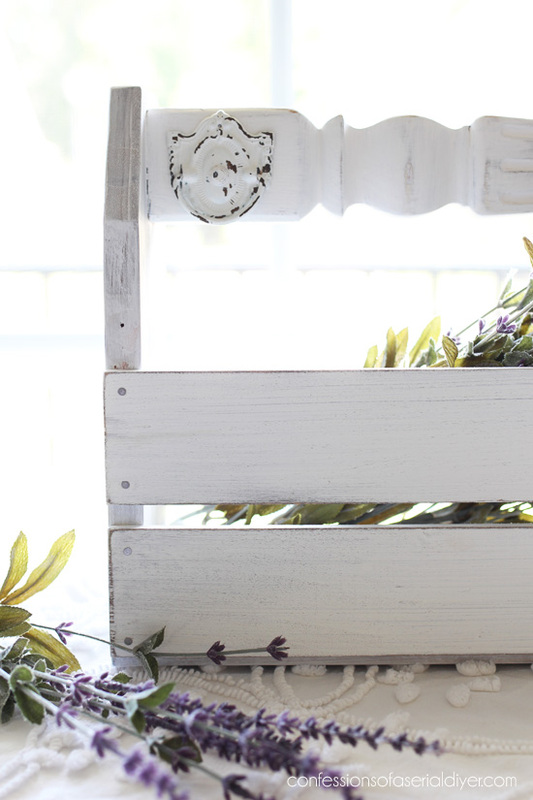 Hey, 9 times out of 10, we DIYers are looking of inspiration, not easy projects. This (used to be) ugly little guy surely got your inspiration going to a great finish! 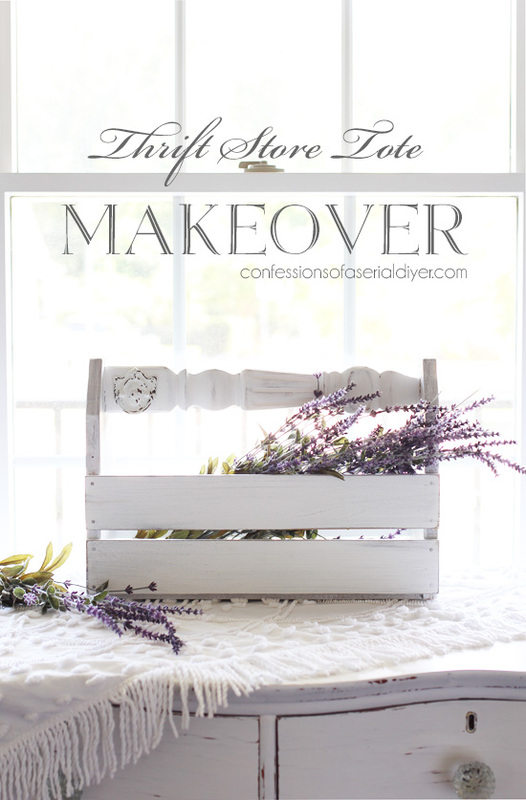 What a cute makeover! Love the new handle! Have you tried the Varathane in Vintage Aqua or Bleached Blue? Would like your opinion on them if you have! Christy, that is so cute and I love the turned handle. Good job! I was looking forward to seeing what you did with that tote, especially the lattice. Wowsers wasn’t expecting this – so pretty! Christy, you are such an inspiration, I just wish you could post every day! SO cute! Now be honest… did you save that lattice piece?! 😉 Love the added drawer pull on the handle! You are amazing! 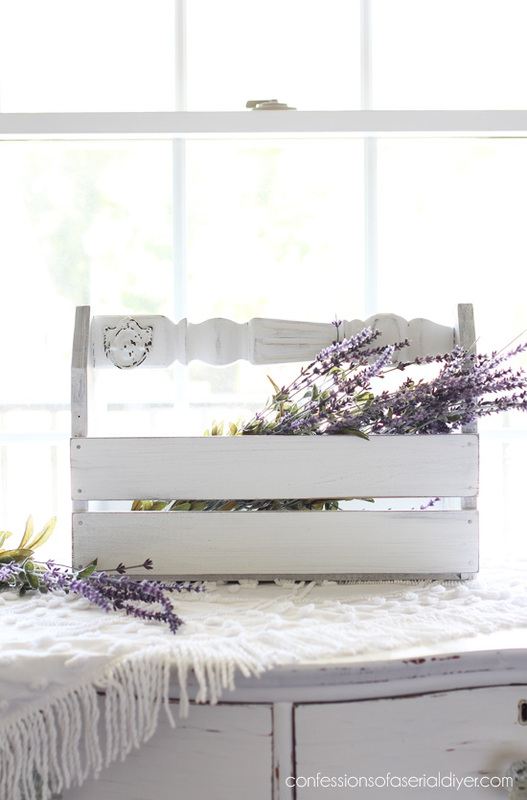 The ideas you get from thrift store items are wonderful and you can bet I will be trying to make some of them. So glad I found you!